Visual arts by the Native American artists embody the visual art traditions of the Native Americans from ancient period to the contemporary era. These include arts from Mesoamerica, South America, North America as well as Greenland and Siberian Yup’ik who have cultural overlap with the Native Alaskan Yup’ik. Basket weaving is ancient and most prevalent art forms known in the Americas. Native American artists weave baskets using a wide range of supplies from the baskets of Nunavut made of twisted sea lime grass to the Tierra del Fuego’s bark basket. Normally, baskets are crafted using vegetable fibers but the Tohono O’odham are famous for their baskets made of horsehair and the Inupiaq for their baleen baskets, from the whalebone. 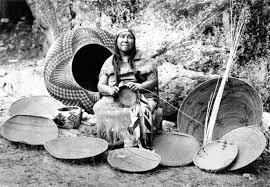 Wire or copper sheets baskets were also weaved by Pat Gold, Wasco-Wishram, and Kelly Church of Grand Traverse Band and Joel Queen of Eastern Band Cherokee. Gail Tremblay weaved baskets in a traditional pattern of tribe Mi’kmaq-Onondaga using exposed film. Basket weaving can be done in many forms. Artist Lisa Telford of Haida used cedar bark in weaving traditional baskets and beautiful gowns and high-heel shoes. 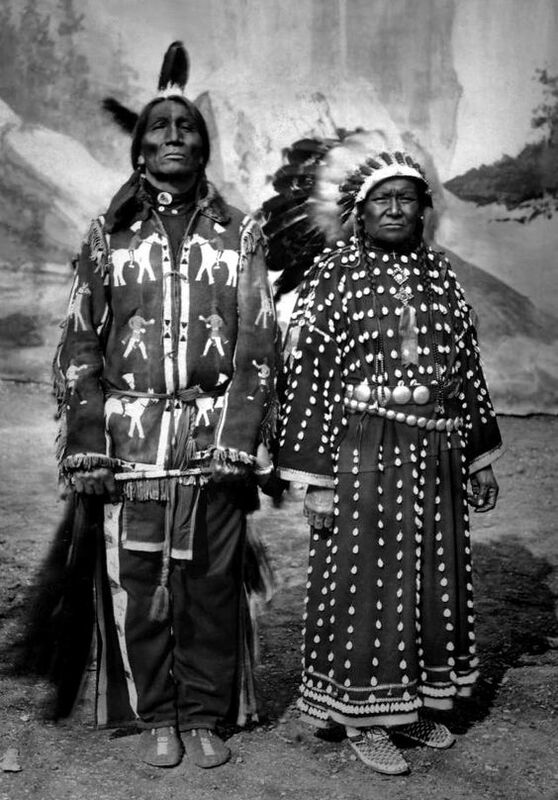 Beadwork is a typically Native American art fashion. In Great Lakes, the tribes applied floral patterns to their beadworks after the Ursuline nuns introduced the pattern to them. They are famous for their bandolier bags which takes a year to finish. In the 20th century, Nez Perce of the Plateau tribes perfected beadworks with contours to emphasize a picture image by forming lines or shapes. Plans tribes were known master beaders. Plateau, Plains tribes are famous for their beaded horse accessories while the Subarctic tribes like the Dene are known for their wreathed dog blankets lavishly designed with beads. Eastern tribes are known for their different artistic beadwork. Ceramics, on the other hand, was created by the Native Americans for almost 8000 years now as proven by pottery discovered in Caverna da Pedra Pintada of the Brazilian Amazon. The Marajo island in Brazil is still a home of ceramic arts up to the present times. The Mata Ortiz pottery in Mexico maintains the ancient tradition of the Casas Grandes of polychrome pottery. Mata Ortiz’s leading potter is Juan Quezada. Cochiti Pueblo’s Diego Romero is famous for ceramic-bowl making, with satirical scenes art that combines pop culture, Greek, and Ancestral Pueblo imagery. Today, hundreds of ceramic makers are taking native contemporary art pottery in a new perspective. In most native cultures, Native Americans create works for private or sacred used only. Sacred items or objects which contain medicines can only be touched or seen by selected individuals with expertise only. Today, hundreds of Native American contemporary artists in another field such as performance art, jewelry, photography, printmaking, sculpture, and textiles are taking the native contemporary art in a new perspective.